We can tell you what a red velvet cheesecake should not taste like. It is not ridiculously creamy (yes, there is such a thing as too much cream cheese) and more importantly, it is never overly sweet. 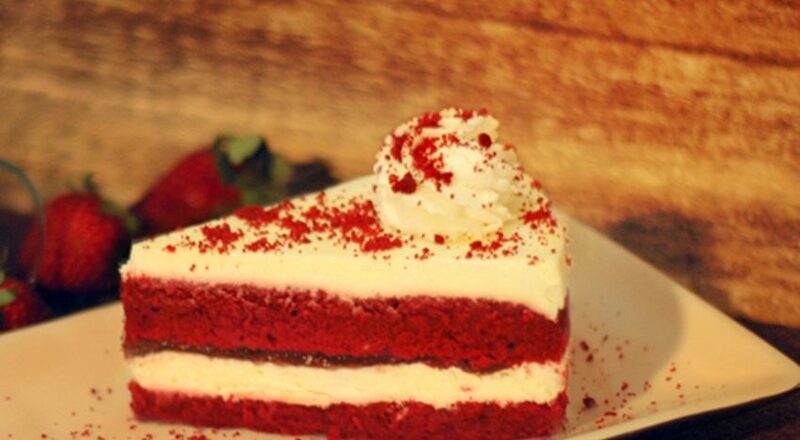 Our pastry test for most patisseries is always this classic and Poetry by Love & Cheesecake is where our search for the ultimate red velvet cheesecake in Mumbai ends. It’s a fine balance between soft sponge cake, strawberry confit that is not too acidic and smooth cream. It helps that the slice of cake that you get is a size that your favourite grandmother would cut out for you and you’re no longer behaving like the grinch who won’t share her dessert with her only four-year-old kid. You’re even willing to spare a bite or two for a friend. Of course, the bill doesn’t make your heart bleed either (It’s Rs 160 for a slice). It is a given that desserts at the cafe will stand out since they’re being rolled out of the same unit that supplies to Love & Cheesecake, the first in line of patisseries launched by Ruchyeta Bhatia and chef Amit Sharma. 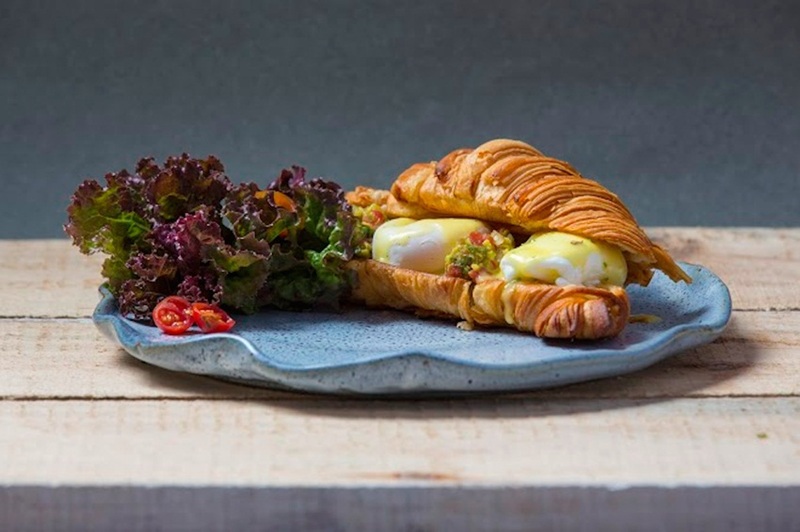 However, the recently launched cafe in Khar is testing new waters with its savoury menu. They do a Poached Egg & Avocado on a Croissant (Rs 310), which sounds horribly wrong, but all the flavours fall into place. There’s the runny egg on top of what looks and tastes like guacamole, all stuffed between a sliced croissant. It’s tragic for someone who loves their croissant and coffee to witness the soggy death of their beloved pastry. Yes, this can get ugly fast.